Reduce radiant heat temperature, protect vital components and give your vehicle that cool tech look! 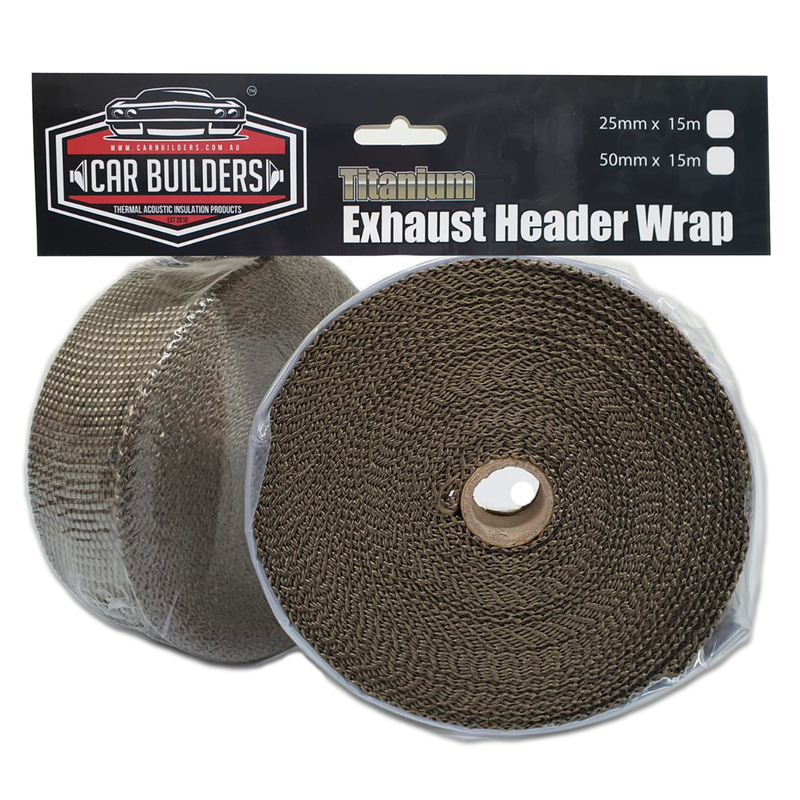 Car Builders Header Wrap works to keep internal heat in the header pipes and reduce heat radiating through. By retaining exhaust heat in the pipes the velocity of the internal gas is maintained creating greater exhaust pressure and flow. 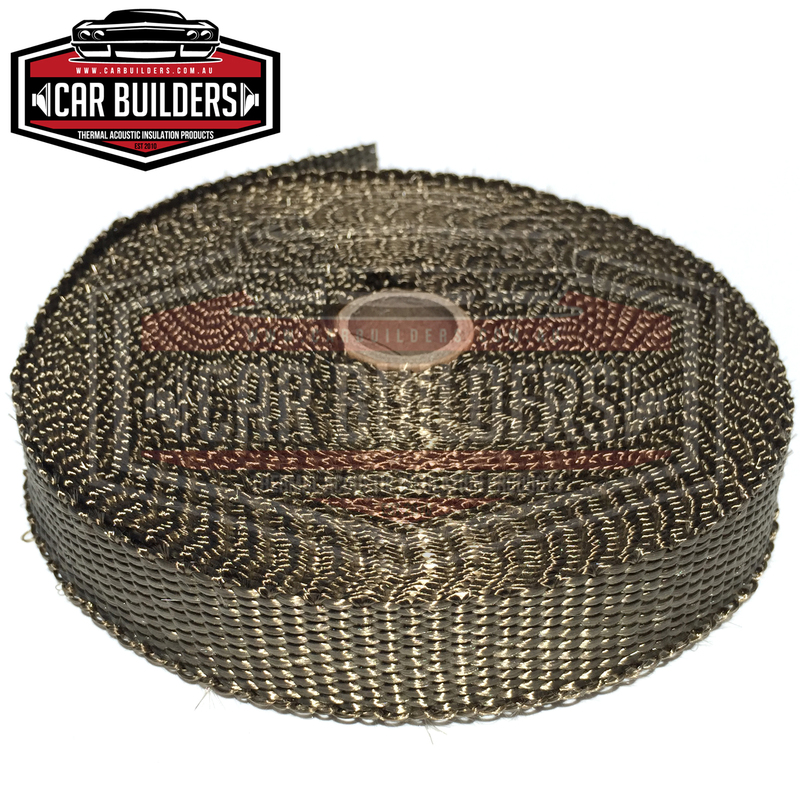 Titanium Exhaust Wrap is constructed from pulverized lava rock, extruded into fibres and then woven into the tightest of weaves. 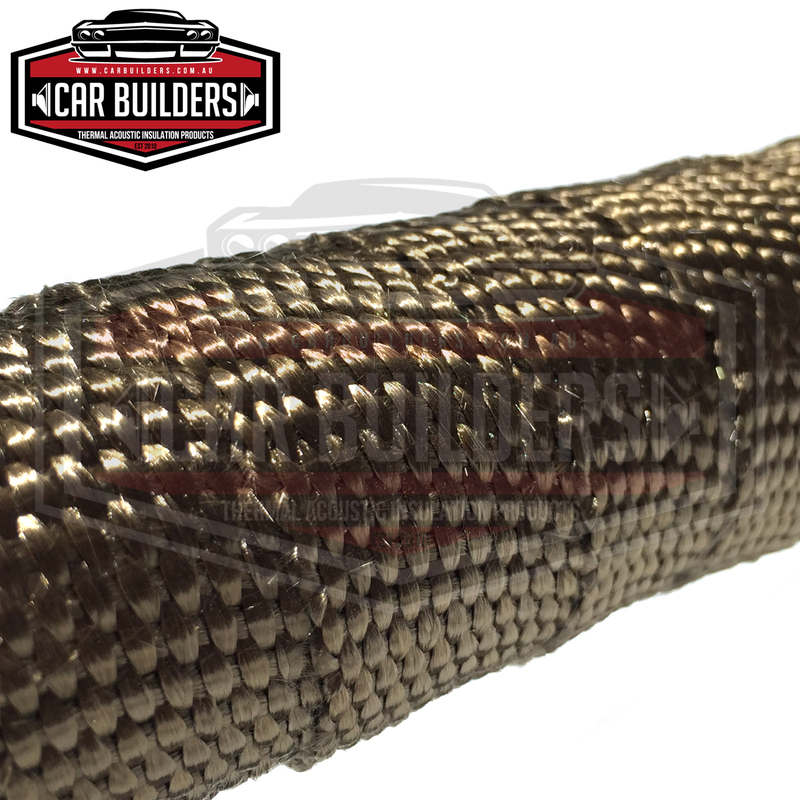 Titanium exhaust wrap is our premium thermal wrap, superior to other materials. 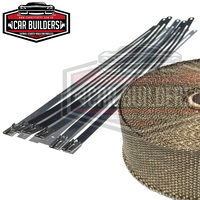 It is stronger, more pliable and offers the highest protection in this product range. Capable of with standing 1200°C continuous this is the only header wrap suitable for turbo engines. All header wrap rolls include 6 x stainless cable ties ready for installation. 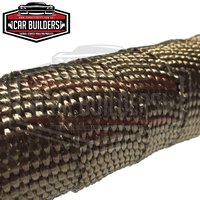 NOTE: Titanium wrap is recommended for turbo setups due to the extreme temperature exposure. The wrap made quite a noticeable difference in radiated heat from the dump pipe to muffler. No improvement felt in performance. 15m was perfect in length, the clamps were a little difficult to use but do work. Very happy with the quality.